The holidays are a time of togetherness, joy, and giving. However, the activities of the holiday season can be overwhelming for service members affected by the Invisible Wounds of War: Traumatic Brain Injury and Post-Traumatic Stress. 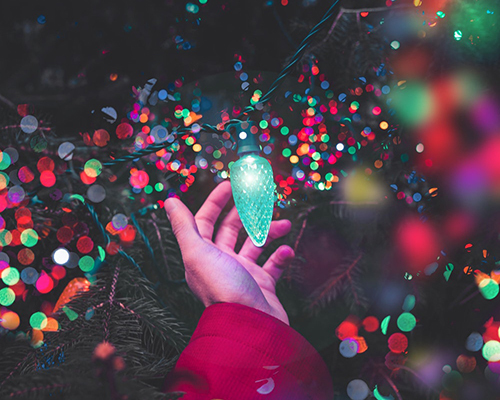 In fact, some of the most exciting parts of the holidays can actually act as triggers for those suffering with TBI and PTS. Here are some tips for getting through the holidays, and enjoying them. 1. Plan A Temporary Relief Area: It’s not uncommon for someone suffering from a brain injury to become overwhelmed in situations such as a holiday gathering. In many instances, having a quiet place to take a break can alleviate the feelings, as opposed to needing to leave completely. It’s perfectly okay to ask the event host if there’s a bedroom or other quiet area of the home/venue where you can take some time to embrace the calm and get a little relief from all the holiday excitement. 2. Online Shop & Plan Ahead: Still struggling with crowds? Online shopping is your best friend for holiday gifts. Each year, it gets easier and quicker to check off an entire Christmas list with nothing more than a computer, smartphone, or tablet. Still need a trip to the mall? Bring earplugs to help drown out any potentially overwhelming noise. 3. Earplugs: If noise is expected to be abundant or overwhelming, don’t be afraid to show up to the party with a pair of earbuds/earplugs. Earplugs especially can be found in small sizes and skin tones to make them unnoticeable. They will keep the noise at a minimal level and help you keep from getting overwhelmed without having to leave or skip the event entirely. 4. Speak Up: One of the most important and sometimes the most difficult tips on the list, but it can also be the most impactful. Don’t be afraid to speak up about how things are affecting you, both during gatherings and in preparation for the holidays. You’d be surprised how quick loved ones are to step in and lend a hand to help lighten the load. No one wants to see you struggle through the day, or have a bad time as a result of the Invisible Wounds you’re working to heal. 5. Ask About Fireworks: While this one mainly applies to New Year’s Eve, everyone celebrates their holidays in their own special ways. As awareness grows for Post-Traumatic Stress, it’s becoming more widely known that fireworks can trigger flashbacks of the event that is causing a person’s PTS. In this case, earplugs may not suffice to block out the noise, so it’s always good to ask about the nature of a gathering’s festivities. The most important thing to remember during the holidays is that you are not alone if you are fighting The War Within. The Intrepid Spirit Centers we construct are specially designed to address and treat the Invisible Wounds of War in our service members. Each of the seven centers we’ve constructed treats thousands of service members each year, helping them to address and heal from TBI & PTS. Learn more about our Intrepid Spirit Centers.